A.J. Foss is a family-owned and operated company of caring professionals that have dedicated themselves to providing quality precast concrete products, consistent value and exceptional service for clients since 1963. We began as one of New Hampshire’s first manufacturers of precast concrete products, and have steadily grown to support clients throughout New Hampshire, Maine, and northern Massachusetts. All A.J. Foss precast concrete products are crafted with high-quality 5,000 psi concrete that is regularly tested using ASTM C31 and C39 quality testing guidelines. Our Type III high early strength cement is also tested monthly to ensure that it complies with ASTM Standard C 150 and AASHTO M 85 requirements. 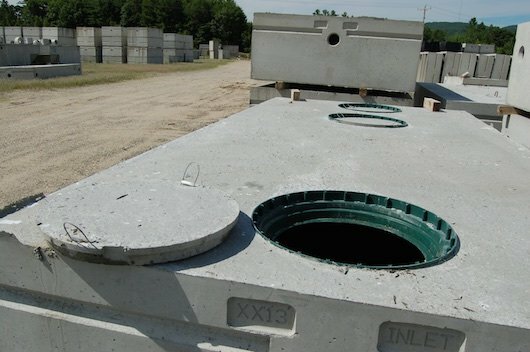 Our huge selection of in-stock precast concrete products and accessories includes septic tanks and leach field construction accessories, cisterns for irrigation, fire, and sprinkler systems, submersible pumps, decorative concrete steps, concrete planters, concrete walls, concrete fences, and concrete landscaping blocks. Farmington, New Hampshire is home to our 35,000 sq ft manufacturing facility and 20 acres of in-stock precast concrete products and accessories -- all ready for prompt delivery to support the success of your projects. A.J. Foss clients range from homeowners to professionals such as engineers, designers, excavators, general contractors, and construction managers. Our experienced, knowledgeable team welcomes each inquiry and project with respect, prompt attention and enthusiastic support. We are proud to have earned many long-standing clients who depend on us to supply precast concrete products for their homes and businesses throughout New Hampshire, Maine and northern Massachusetts. Residential Project Clients appreciate our team’s prompt response to phone and e-mail inquiries, our approachable style, and our wide variety of scalable options for all their precast concrete needs. We are known for our customer service, vast in-stock selection, competitive pricing and rapid delivery. 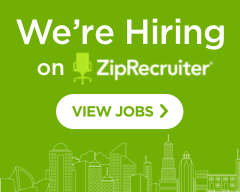 Our renowned one-hour delivery window improves our clients’ project sequencing and minimizes job-site downtime, to maximize productivity and enhance their bottom line. Commercial Project Clients appreciate our quick turnaround in bidding commercial projects. They also value our team’s knowledgeable support in helping them develop project requirements and specify cost-effective precast concrete solutions to complete their projects within scope and budget. Designers value the ease with which they can incorporate our AutoCAD files of professionally engineered designs into their drawings, enhancing their productivity. Why Choose A.J. Foss for Your Precast Concrete Product Needs? Selection: We offer a huge in-stock selection of ready to deliver precast concrete products and accessories, including septic tanks and accessories, cisterns, submersible pumps, decorative concrete steps, concrete planters, concrete walls, concrete fences, and concrete landscaping blocks. One-Stop Shopping: We provide professional installers with a single resource for all their precast concrete product and accessory requirements, saving them valuable time in sourcing and delivery, and providing the consistent quality and overall value that A.J. Foss is renowned for. Custom Options: We can customize any precast concrete septic tank, grease interceptor, or oil-water separator to meet traffic or non-traffic rated specifications, depending on your needs and application. Quality and Consistency: All A.J. Foss precast concrete products are crafted with high-quality 5,000 psi concrete that is regularly tested using ASTM C31 and C39 quality testing guidelines. Our Type III high early strength cement is also tested monthly to ensure that it complies with ASTM Standard C 150 and AASHTO M 85 requirements. Our precast concrete tanks also meet the pertinent requirements of ASTM C 1227 for concrete strength, reinforcement, size, capacity, water-tightness, and identification with our A.J. Foss logo. Our proven manufacturing process produces precast concrete products with consistent durability and performance, ensuring our clients’ peace-of-mind. Design Support and AutoCAD Drawings: We manufacture to engineered plans (shop-drawings), which ensures that our precast concrete products are produced with consistent quality. We also provide designers with password-protected access to AutoCAD files of each professionally-engineered design, which saves them time and enables them to incorporate our files into their drawings. We also provide engineers with support in designing precast concrete block walls, and guidance on the most cost-effective way to achieve their goals within their project’s scope and budget. Rapid delivery: Our vast in-stock selection means that we can usually offer same-day delivery of precast concrete structures to clients throughout New Hampshire, Maine and northern Massachusetts. What’s more, our renowned service of providing you with a one-hour delivery window supports your project sequencing and minimizes job-site downtime, to increase productivity and enhance your bottom line. Outstanding Overall Value: The A.J. Foss team consistently provides the key factors that create overall value for your projects: One-stop shopping for a large selection of quality in-stock precast concrete products and accessories, with custom options, design support, competitive prices, and rapid on-time delivery throughout New Hampshire, Maine and northern Massachusetts. Contact us to discuss your projects throughout New Hampshire, Maine and northern Massachusetts that require precast concrete products, and discover the A.J. Foss difference for yourself.